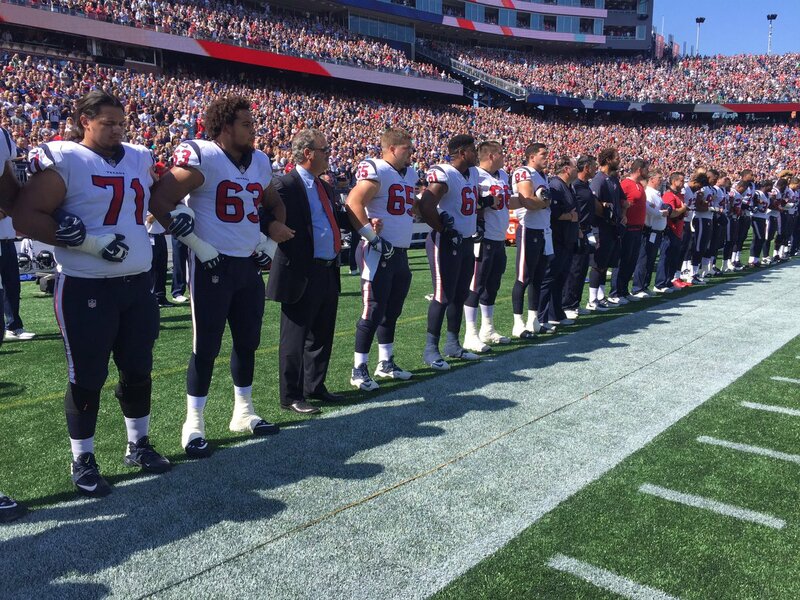 Houston Texans Stood and Locked Arms for the Anthem! PATRIOTS! Meet the ONE Steeler Who Stood for the National Anthem! Despite what you may hear from the Trump haters, Donald Trump is more popular and powerful than ever before. All you need to see to understand that is this new article from Politico just published today. The headline reads: "Teflon Don confounds Democrats" That's right, I said Politico.